Thessalian League. ca. 196 to 146 BC. Silver drachm. Size : 18.1 x 19.2 mm. Weight : 4.27 grams. Reference : Sear-2234 variety. BMC Thessaly page 4 #41. 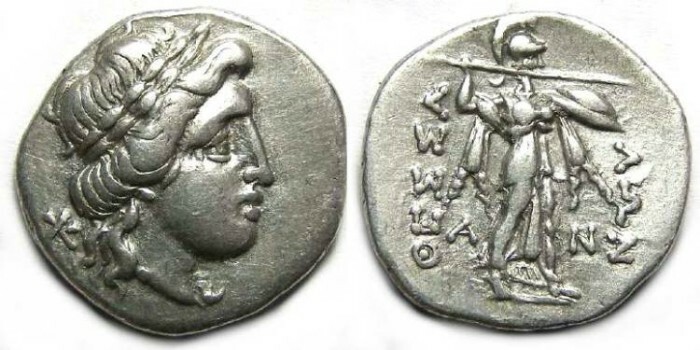 Reverse : Athena Itonia standing right in fighting stance, with QESSALWN to the sides, and A N flanking her legs.